The Captain Planet-secreted secret sauce in Sony's "Eco" Bravia VE5 sets is their Hot Cathode Fluorescent Lamp, which cuts power consumption by 40 percent. The 52, 46 and 40-inch sets have a few other green-colored tricks up their sleeves too: A presence sensor turns the off when no one's in the room and automatically turns itself on when you come back into the room. They're also Sony's first TVs with a zero-watt standby switch. LAS VEGAS (CES BOOTH 14200), Jan. 7, 2009 – Sony took another important step on the environmental front today by unveiling a series of highly energy efficient televisions. The 52-inch KDL-52VE5, the 46-inch KDL-46VE5 and the 40-inch KDL-40VE5 models (all measures diagonally) are also the first to incorporate Sony’s exclusive micro-tubular Hot Cathode Fluorescent Lamp (HCFL). The technology helps reduce power consumption by almost 40 percent compared to the company’s other LCD HDTV models. Televisions often are left unattended by children or others who become busy and forget to turn the set off when they leave the room. Sony’s Presence Sensor feature solves the issue by automatically turning off the picture when no one is present in the vicinity after a user-set timeframe. When the sensor detects motion, the TV turns it self back on instantly. 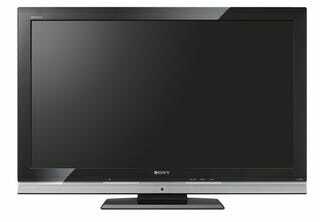 The VE5 models are also Sony’s first LCD televisions to offer a zero-watt standby Energy Saving Switch. When not in use, the standby switch can also be manually turned off, cutting power to nearly zero watts. Simply flip the switch back on and the TV is fully operational. Additionally, the sets feature a light sensor that will automatically adjust the backlight depending on ambient room light. The setting saves energy and improves image contrast by lowering the backlight when it is set unnecessarily high in dimmer room light. All of Sony’s new 2009 LCD high-definition televisions exceed Energy Star® 3.0 requirements. By employing a range of innovative power-saving features, the VE5-series sets a new standard for HDTV energy efficiency. On the performance front, the sets feature Sony’s Motionflow™ 120Hz technology for improved sharpness and detail in fast-moving images. The models also offer a USB input for playing audio files from a USB storage device or connecting a compatible digital camera to display photos. The models are compatible with Sony’s BRAVIA Link modules including the BRAVIA Wireless Link, BRAVIA Input Link and BRAVIA DVD Link.